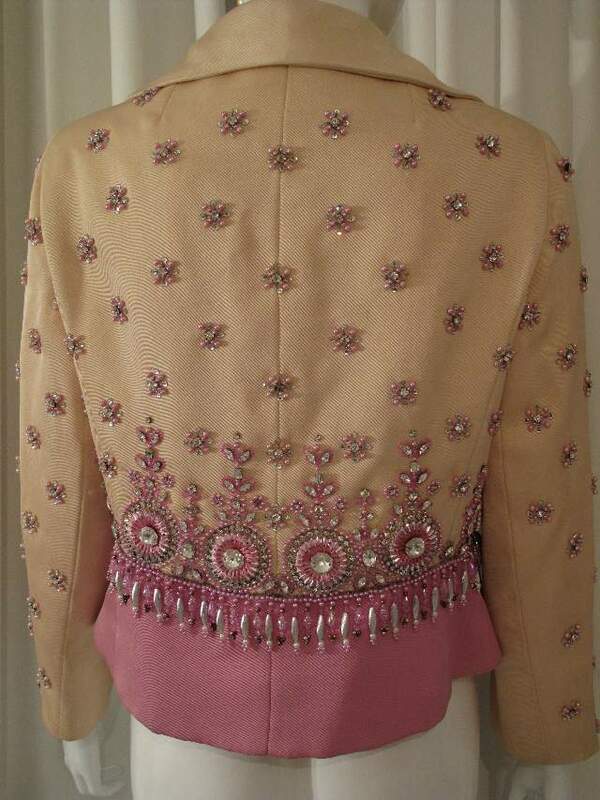 1960's Silk gaberdine, jewelled tailored vintage jacket in cream and lavender. The piece is in silk gaberdine and fitted with shawl collar and deep bust darts. 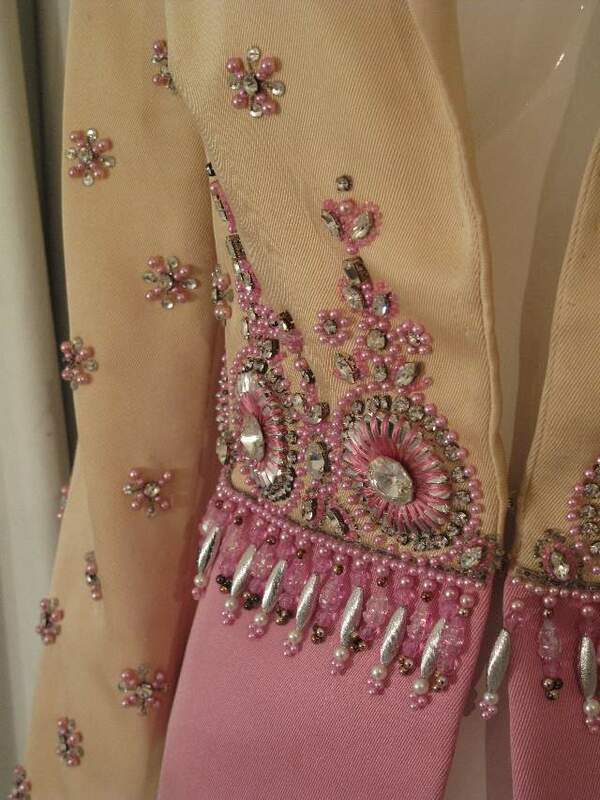 The colour is a rich cream with a contrast lavender peplum panel. 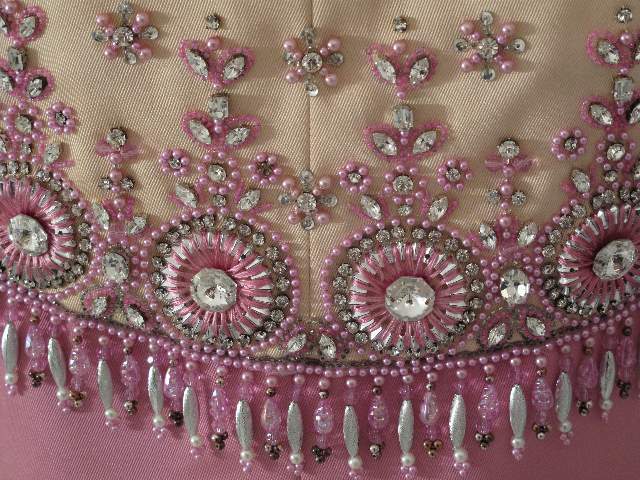 The bodice front and back and sleeves are studded with florets of pale lilac faux pearls and crystals. 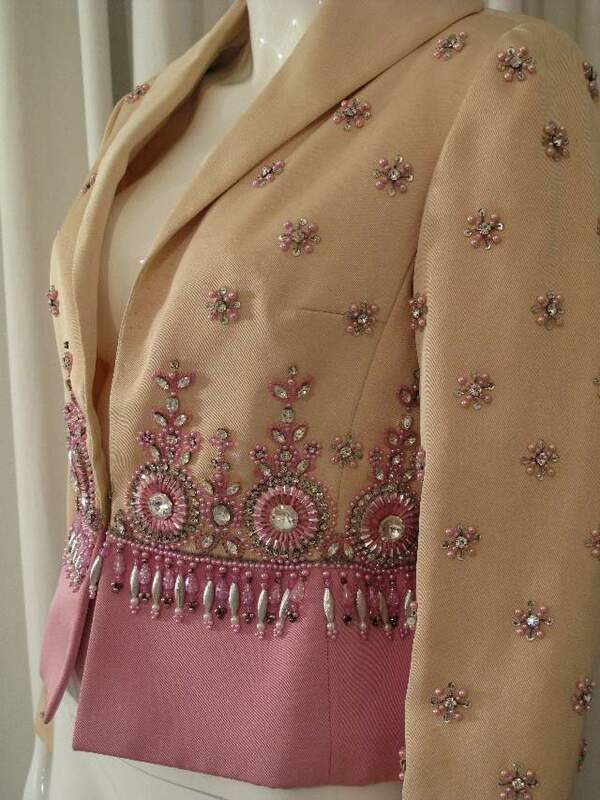 The waist seam is extravagantly decorated with large crystal roundels and crystal and faux pearl studs. There is a fringe of silver textured tassel beads and pearls. Glamour with a capital 'G' describes this piece. 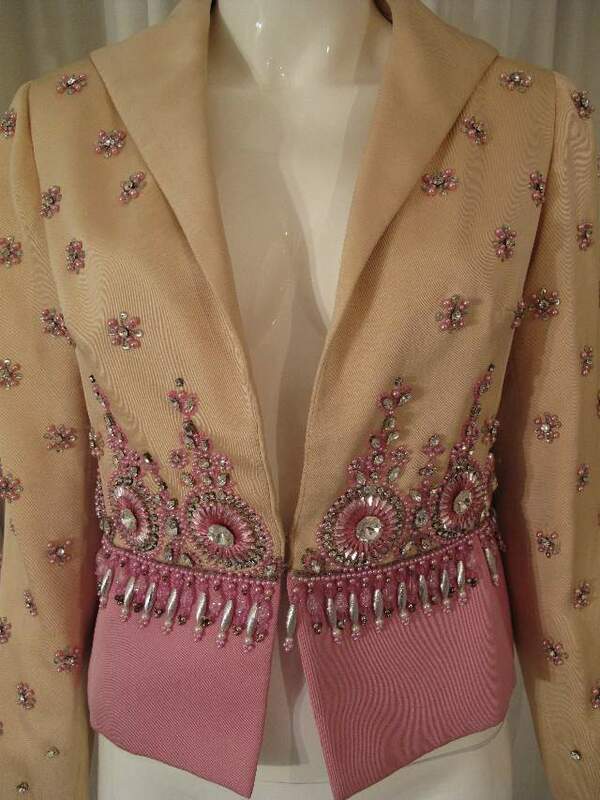 A stylists dream, as you could go into overdrive on the glamour theme, or just really dress it down. ..... Whatever you decide...... it does the job!